The long goodbye at an animal shelter isn't easy for anyone. The family who dropped off Keisha at a Toronto clinic, which does work for Rescue Dogs Match, made that crushing decision because they could no longer afford to keep her. 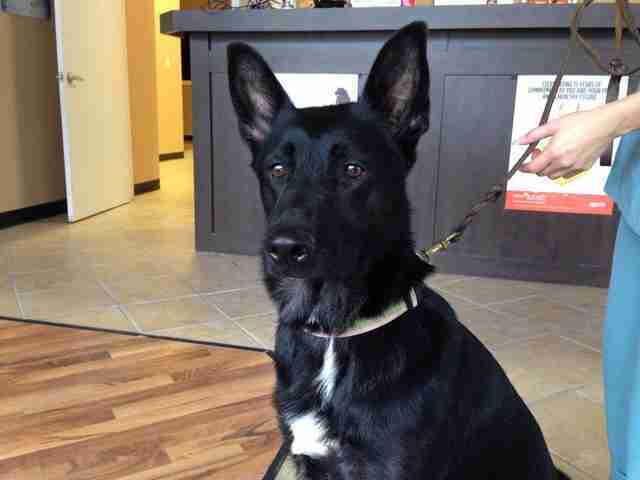 They loved the 50-pound German shepherd mix. Especially the child, who formed a potent bond with Keisha. And Keisha repaid that bond with an unbreakable loyalty. 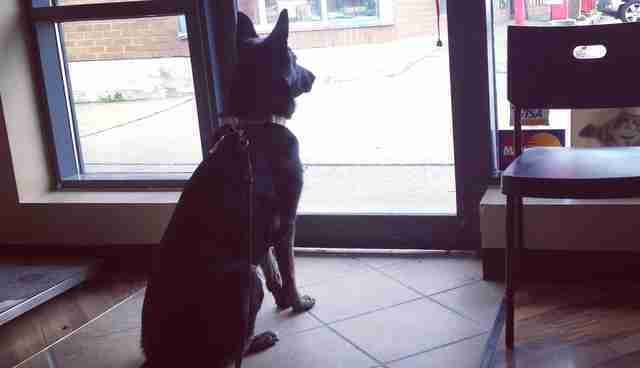 So unbreakable, in fact, she spent the day at the clinic door, staring outside, oblivious to everyone. Waiting and crying. But they went somewhere she couldn't follow. And Keisha needs help now. The shelter has booked surgery to have her spayed later this month. If she hasn't found a foster home to recover in by then, the operation will be canceled. You can read all about Keisha here. She's beautiful, intelligent, housebroken and friendly - to human and cat alike. Did we mention her loyalty knows no tomorrow? If you think you can help give her a new tomorrow, email info@rescuedogsmatch.com.